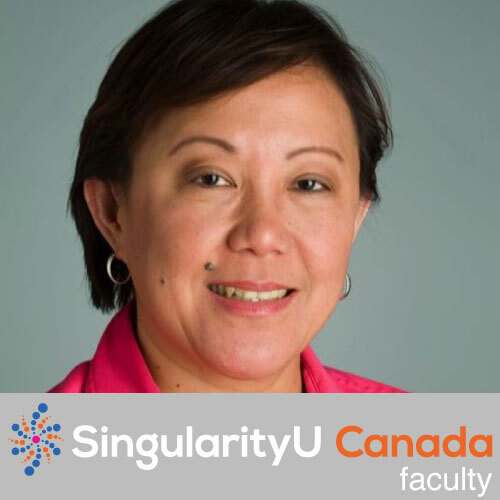 M. Cynthia Goh is Professor of Chemistry, cross-appointed to the Department of Materials Science and Engineering, the Institute of Medical Science and the Munk School of Global Affairs. She is the founder and Director of the Impact Centre, an institute that aims to bring science to society, and the inaugural Academic Director of University of Toronto Entrepreneurship. Her research interests centers on the interactions and properties of very large molecules, which has impact on nanotechnology, biomaterials and biodiagnostics. Other passions are: the translation of scientific discovery to technology/products that benefit society; the training of scientist-entrepreneurs; and the development of technology for low resource settings. Her research has led to 8 science-based companies, which she has co-founded with her students, including: Axela (medical diagnostics based on diffractive optics), Vive Crop Protection (delivery system for agricultural actives), Pueblo Science (non-profit for science literacy in low resource communities worldwide) and Phantin (nanomaterials coatings for environmental issues). In 2003 she originated Entrepreneurship101, an introduction for students who want to be entrepreneurs, which has expanded to thousands registered annually. In 2010 she founded Techno, an intensive training program for scientists/engineers who want to create science-based companies; this program has led to the creation of over 150 start-ups based on university research. Professor Goh has given invited lectures on her scientific research results, on their translation to useful products, and on the process of innovation and the training of scientist-entrepreneurs.